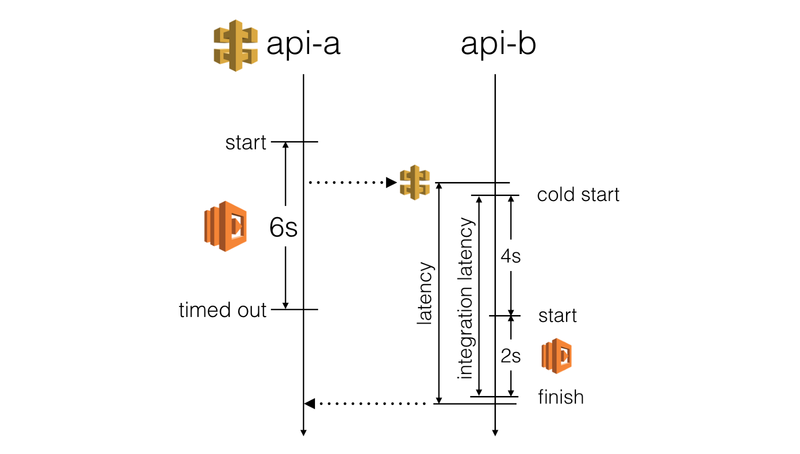 However, as you have limited influence over a Lambda function’s cold start time and have no control over the amount of latency overhead API Gateway introduces, the actual client-facing latency you’d experience from a calling function is far less predictable. To prevent slow HTTP responses from causing the calling function to timeout (and therefore impact the user experience we offer) we should make sure we stop waiting for a response before the calling function times out. This challenge of choosing the right timeout value is further complicated by the fact that we often perform more than one HTTP request during a function invocation – e.g. read from DynamoDB, talk to some internal API, then save changes to DynamoDB equals a total of 3 HTTP requests in one invocation. 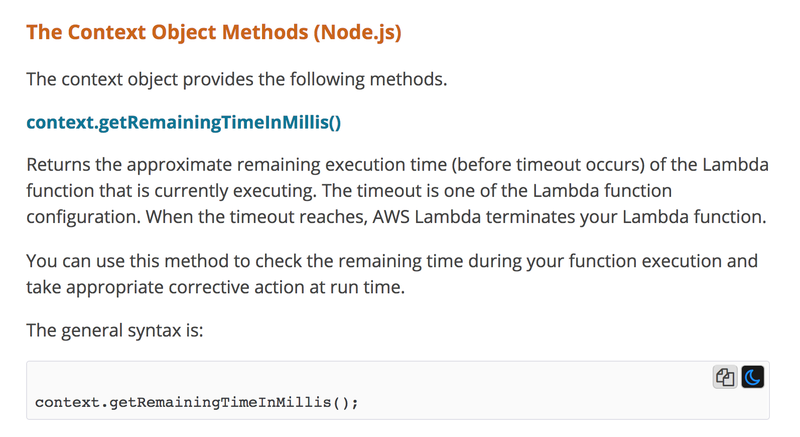 Let’s look at two common approaches for picking timeout values and scenarios where they fall short of meeting our goal. requests are allowed too much time to execute and caused the function to timeout. Instead, we should set the request timeout based on the amount of invocation time left, whilst taking into account the time required to perform any recovery steps – e.g. return a meaningful error with application specific error code in the response body, or return a fallback result instead. You can easily find out how much time is left in the current invocation through the context object your function is invoked with. For example, if a function’s timeout is 6s, but by the time you make the HTTP request you’re already 1s into the invocation (perhaps you had to do some expensive computation first), and if we reserve 500ms for recovery, then that leaves us with 4.5s to wait for HTTP response. requests are given the best chance to succeed, without being restricted by an arbitrarily determined timeout. But what are you going to do AFTER you time out these requests? Aren’t you still going to have to respond with a HTTP error since you couldn’t finish whatever operations you needed to perform? "message": "service X timed out"
In some cases, you can also recover even more gracefully using fallbacks. 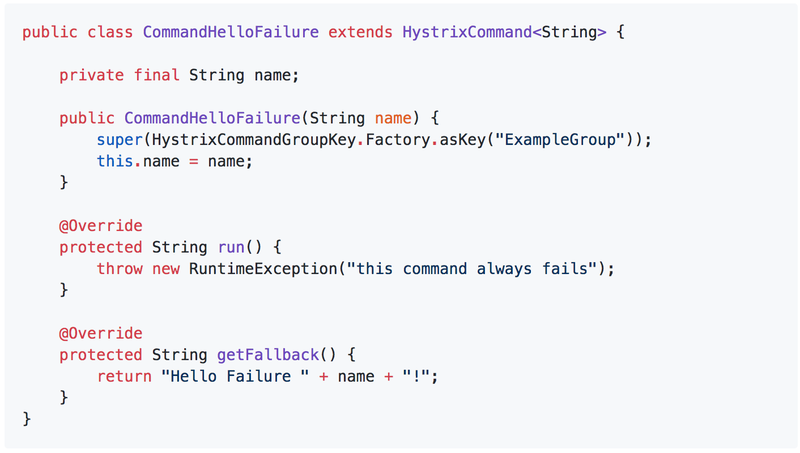 Netflix’s Hystrix library, for instance, supports several flavours of fallbacks via the Command pattern it employs so heavily. In fact, if you haven’t read its wiki page already then I strongly recommend that you go and give it a thorough read, there are tons of useful information and ideas there. At the very least, every command lets you specify a fallback action. You can also chain the fallback together by chaining commands via their respective getFallback methods. Anyway, check out Hystrix if you haven’t already, most of the patterns that are baked into Hystrix can be easily adopted in our serverless applications to help make them more resilient to failures – something that I’m actively exploring with a separate series on applying principles of chaos engineering to Serverless.